Sober House: Reel or Real? Sober House, a television show that premiered on January 15, 2009, is a spin-off of the popular reality show Celebrity Rehab with Dr. Drew. The former chronicles the difficulties of various celebrities who are essentially recovering addicts and alcoholics. 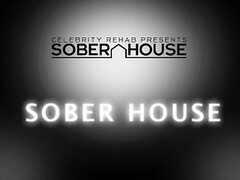 Season 1 of Sober House featured previous Celebrity Rehab alumni including Mary Carey, Amber Smith, Rodney King, Nikki McKibbin, Seth Binzer, and Steven Adler, while the second season had Dennis Rodman, Mike Starr, Tom Sizemore, Heidi Fleiss, Jennie Ketcham, Kendra Jade Rossi, and Kari Ann Peniche. With a show like Sober House, viewers must understand that beyond rehabilitation, there is a real need for transitional living to reinforce the important lessons learned while in treatment. Sober living homes provide a safe and supportive environment that equips recovering addicts and alcoholics with the necessary life tools, needed to successfully integrate back into society. Addiction, alcoholism, relapse, recovery…these are very serious issues that need to be addressed.